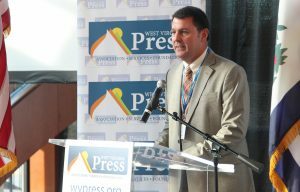 CHARLESTON, W.Va. — WVPA President Jim Spanner, publisher of the Parkersburg News and Sentinel was honored Thursday evening at a reception at the Clay Center in Charleston. Jim Spanner, publisher of The Parkersburg New and Sentinel and the president of the West Virginia Press Association speaks at a Thursday evening reception in his honor at The Clay Center for the Arts and Sciences in Charleston. Keynote speaker WVU Provost Joyce McConnell spoke about higher education and the partnership between the university and the press association. 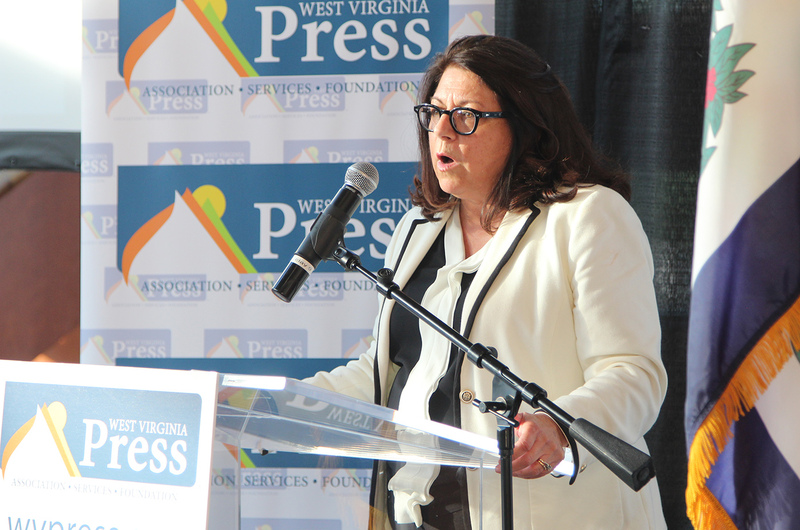 WVU Provost Joyce McConnell spoke at the West Virginia Press Association President’s Reception Thursday night as part of the press association annual convention. During the convention, the WVPA recognizes its top efforts in advertising and journalism across West Virginia. 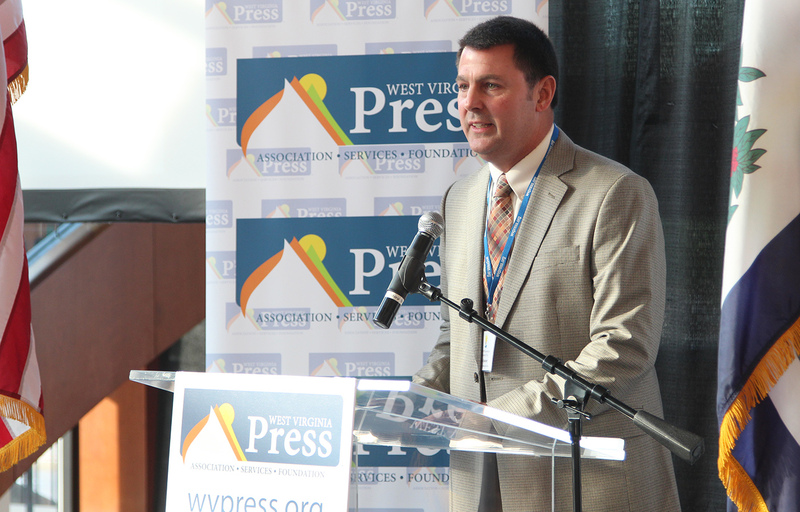 The West Virginia Press Association began its annual convention with a President’s Reception at The Clay Center for the Arts and Sciences.